We have travelled 16miles and done 13 locks today. Of those sixteen miles I would guess about twelve of them have been lined on at least one side, and often both sides, with moored boats. The non moving “continuous cruiser” situation in London is much worse that when we last visited a few years ago. It used to be in central London, but it has now spread further out. 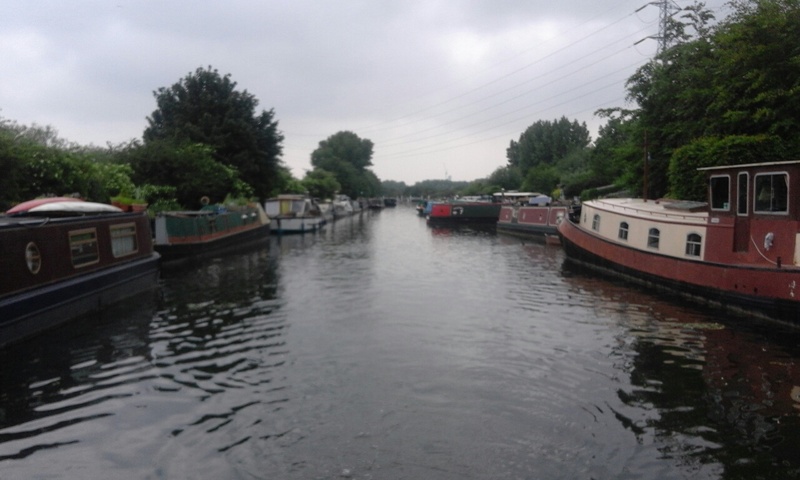 This pic is about two miles up the river Lea where it has started to thin out a little. 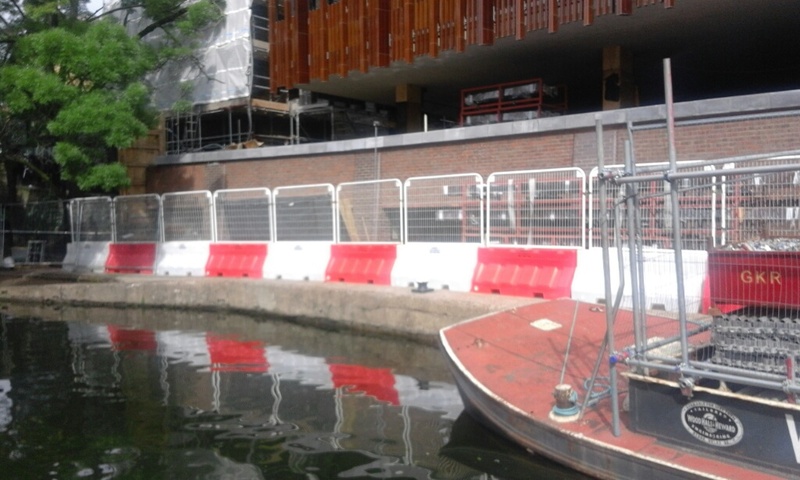 At least here the channel is wide, on parts of the Regents canal they are double moored both sides. C&RT seem unable or unwilling to do anything about it. Too busy promoting the nation’s wellbeing I suppose. 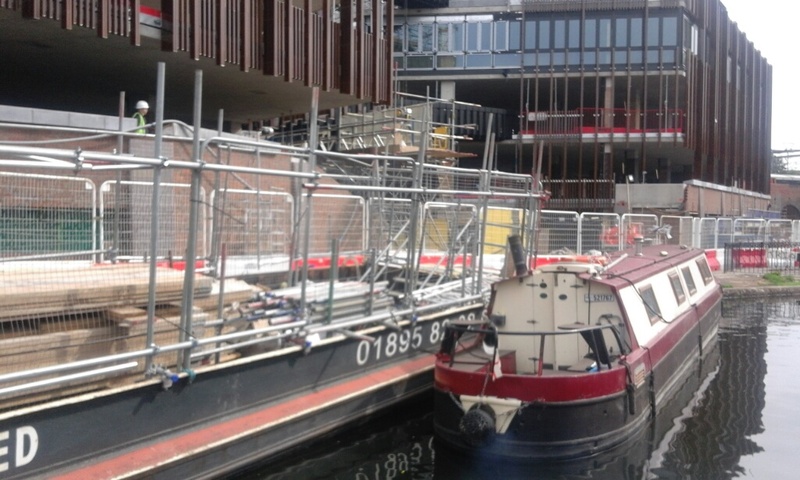 There is a huge amount of waterside development going on in London. In particular around Camden locks. Here the developers have completely taken over the towpath. So it’s impossible for boat crew to walk between the locks and almost impossible to drop off crew at the locks, making passage extremely difficult. 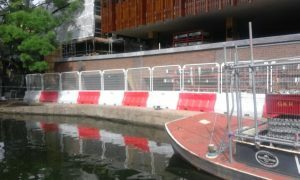 In the past BW made contractors provide floating pontoons around works, but C&RT obviously arent interested in boaters only in promoting wellbeing! The first part of the Lee Navigation is, um, very ‘urban’. We’re told it gets better. We shall find out tomorrow.